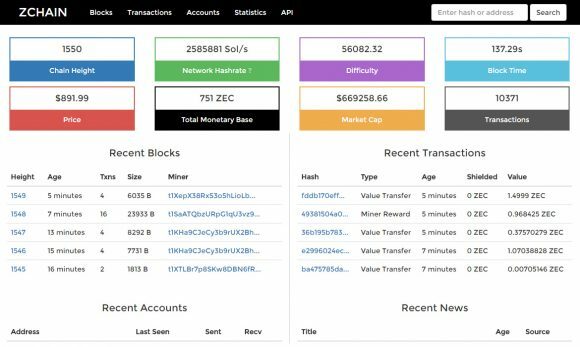 Zcash (ZEC) had a good start, but there were trouble with different pools and miners, even though everyone was willing to mine due to the overblown initial price of ZEC coins and their scarcity on the market. Now things are already starting to stabilize with prices going down to a more reasonable level, pools having less trouble and more miners to choose from. The slow start implemented for the launch of Zcash is working as expected with the block reward just a bit short from 1 ZEC at the moment and a network difficulty of 2,585,881 Sol/s with just about 751 ZEC coins mined so far (20% of them in the hands of developers). Just as we have expected and predicted the big interest and a lot of hype have materialized in high demand and big initial price and while the price is still pretty high it will continue to go down as the block reward increases and more ZEC coins become available on the market. So if you are mining ZEC at the moment it might be wise to sell them now and later on buy more at a cheaper price with the money you have made from mining at the moment… seems like the most reasonable thing to do, otherwise the hard mined coins now will be worth even less in a couple of days. The positive effect from the big move of mining hashrate to mine Zcash is that some other coins have become more interesting to mine if you are mining and holding on the long run than instead of mining and selling immediately for profit like you might be doing with ZEC. So now that the profit is not as big as at the initial launch you might also look around for alternatives and see if they might have become more interesting to mine than they were before the Zcash launch. Read trough this https://forum.z.cash/t/genoils-zec-miner/3791 it’s very good.